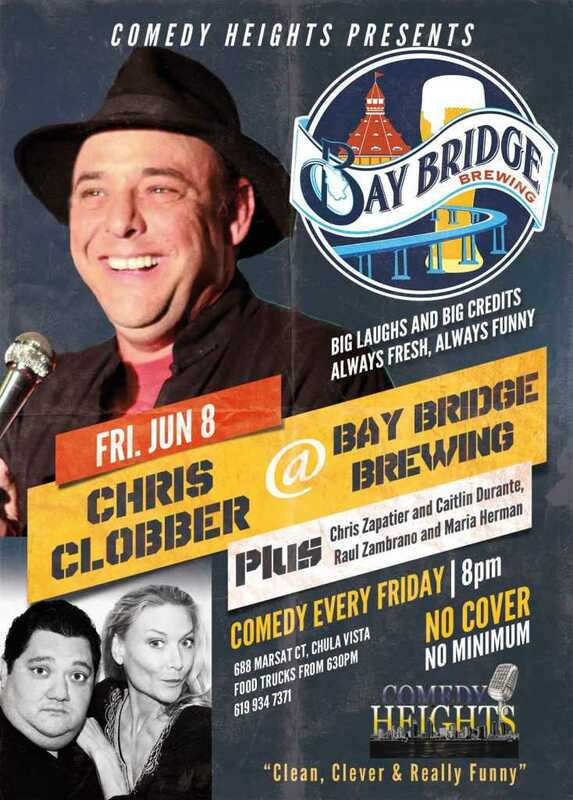 Friday June 8th at Bay Bridge Brewing! Chris Clobber! This Friday, 8PM at Bay Bridge Brewing! The best little brewery in Chula Vista brings you Chris Clobber! Chris is a well-known San Diego favorite, known for his zoo animal impersonations and hilariously weird musings. He always puts on a hilarious show and we we’re thrilled to have him on our show! We’ll have him this weekend onstage along with Chris Zapatier and Caitlin Durante, Raul Zambrano and Maria Herman! Next story June 14-16th on Comedy Heights! Previous story June 7th at the Echo Room in Oceanside!